Thank you for signing the Guest Book for Maxwell Arthur "Max" Petts. This Guest Book will remain online permanently courtesy of John Hossack Funeral Homes. Please take a moment to sign the Guest Book for Maxwell Arthur "Max" Petts. Petts Max Loved brother of Don, brother-in-law of Phyllis, uncle of Tim and Meg, Bruce and Gayle, Doug and Maree, Ian and Jodie. Much more than a brother, the very best mate you could wish for. Like father, like son, we are so proud of you Greg. 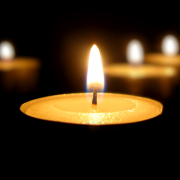 Petts Max Sincere condolences to Deborah, Greg and their families on the sad passing of Max. One of natures true gentleman. Much appreciated friend and mentor. Bob and Anne Rixon and family. Send me a daily email when updates are made to the obituary or Condolence page for Maxwell Arthur "Max" Petts.